Theresa May is currently in Brussels pleading for a delay to Brexit. But Searson's pub on Baggot Street, Dublin is already planning on hosting a 'send-off' for the UK on March 29th, the date when Brexit is officially due to happen. 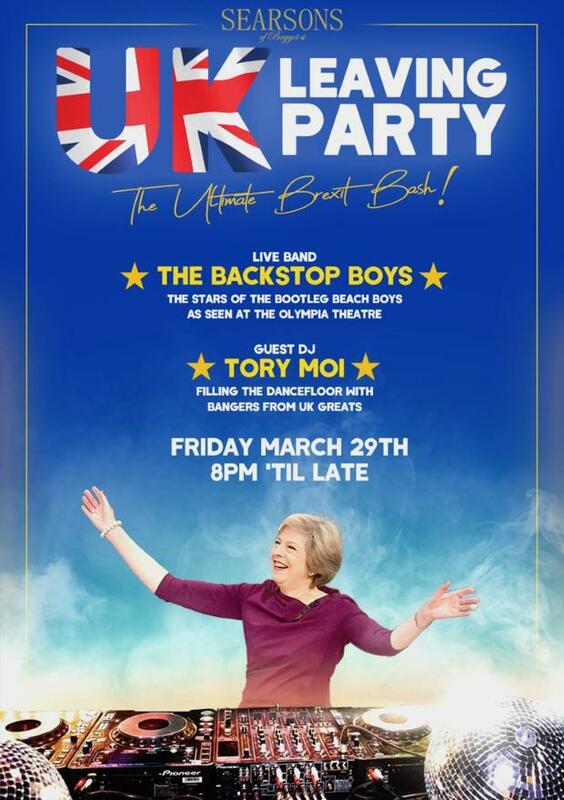 The night will feature entertainment from The Backstop Boys - a one-off EU supergroup, formed specially for the night, featuring Joe Leech, Mark Maguire and Damian Butler from the Last Waltz and the Bootleg Beach Boys. This will be followed by a DJ set with hits from iconic UK acts including Oasis, Blur, Bowie, Queen and Elton John. A number of special cocktails have been created for the night, include The ‘Theresa Maytini’ - a Martini with a sour twist - 'D.U.Pina Colada and an 'Old Fashioned Tory'. Staff members in the pub will be decked out in EU blue and yellow and the pub will be decorated with EU balloons, bunting and large cardboard cutouts of Boris Johnson, Nigel Farage and Theresa May. 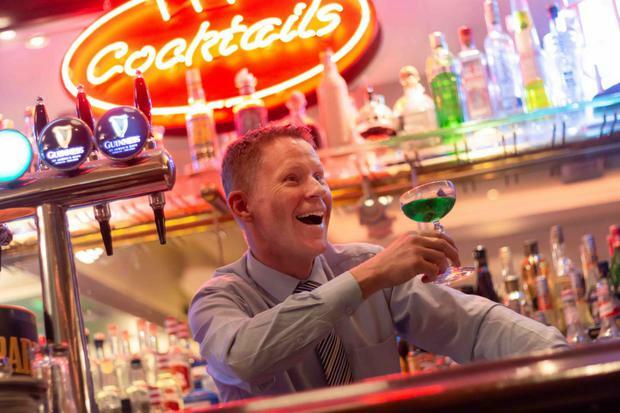 A representative for Searson's said that if the UK is granted an extension, guests will enjoy a bar extension. The event will take place next Friday from 8pm.